19.03.2019: Rising star Harry King can today confirm that he will return to the Millers Oils Ginetta GT4 Supercup for the 2019 season. Rising star Harry King can today confirm that he will return to the Millers Oils Ginetta GT4 Supercup for the 2019 season. 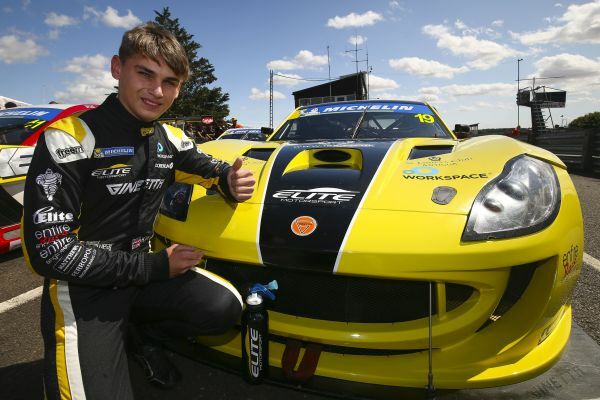 The 18-year-old, from Holyport in Berkshire, will remain with Elite Motorsport for a successive fourth year - having made his car racing debut with the team in the 2015 Ginetta Junior Winter Series. Following a successful two-year stint in the main Ginetta Junior Championship - which saw him secure multiple race wins and a best finish of sixth in the standings - Harry made the move into the GT4 Supercup alongside Elite last season. Despite it being the first year in the highly-competitive series for both driver and team, Harry showcased his talent from the outset; securing a brace of podium finishes from the opening weekend of the year at Brands Hatch. A maiden pole position quickly followed at Donington Park, where Harry also secured the first of the four races victories he would pick up over the course of the season. Finishing on the podium in more than half of the 23 races, Harry ended the year third in the championship standings and helped Elite to finish as the best-placed single car outfit in the teams’ championship. 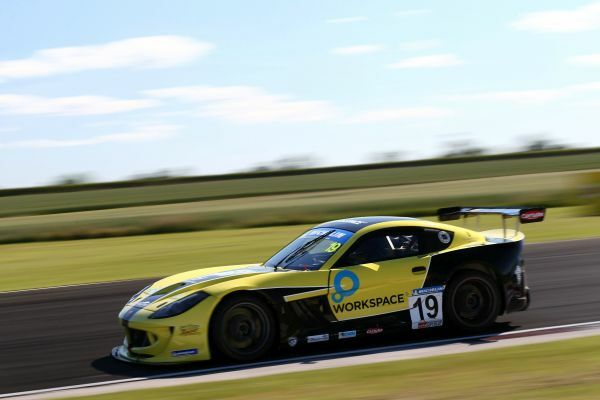 Harry’s return to the GT4 Supercup comes with the continued support of Workspace and Entire Race Engineering, both of whom supported his 2018 programme. The 2019 Ginetta GT4 Supercup will once again race alongside the British Touring Championship, with 23 races spread across eight meetings at seven of the leading circuits in the UK. The season opener will take place on the Brands Hatch Indy circuit on the weekend of 6/7 April. Harry King, Elite Motorsport Ginetta G55, said: “I’m delighted to be back on the grid this season to fight for the Ginetta GT4 Supercup title, and am pleased to return with Elite for a fourth consecutive year. “I have a fantastic relationship with the team and I’m feeling confident in the people around me, and with the performance of the car in testing. Everyone is putting in a huge amount of effort to give us the best chance of success, and there is a lot of positive energy around the team at the moment. “I’m certainly feeling optimistic about what we can achieve in 2019 and unlike twelve months ago, we now know what to expect from the Supercup. The year of experience that we have under our belts is something that can only benefit us when the action gets underway. GPX Racing unveils its ambitions on the international GT scene!